In Pueblo, a five member Board is charged with the formulation of policy, review and approval of the budget, setting rates and long-range planning that will ensure Pueblo's water system is operated and maintained in an efficient and cost-effective manner. This Board is comprised of community and business leaders elected by the citizens of Pueblo. Board members serve staggered six-year terms. The future prosperity of Pueblo is tied directly to the readily available supply of high-quality water, and Board of Water Works employees specialize in the many skills needed to manage, engineer, operate and maintain Pueblo's water system and sources of supply. 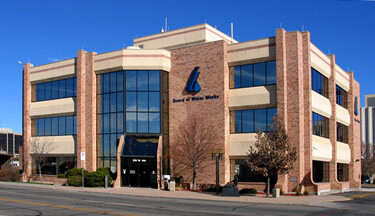 The Board of Water Works is committed to providing the highest quality of water at the lowest possible cost. We are equally committed to the work force that helps achieve that goal. We strive to create and maintain an environment that encourages and recognizes teamwork, individual contribution, and the integrity of each employee.